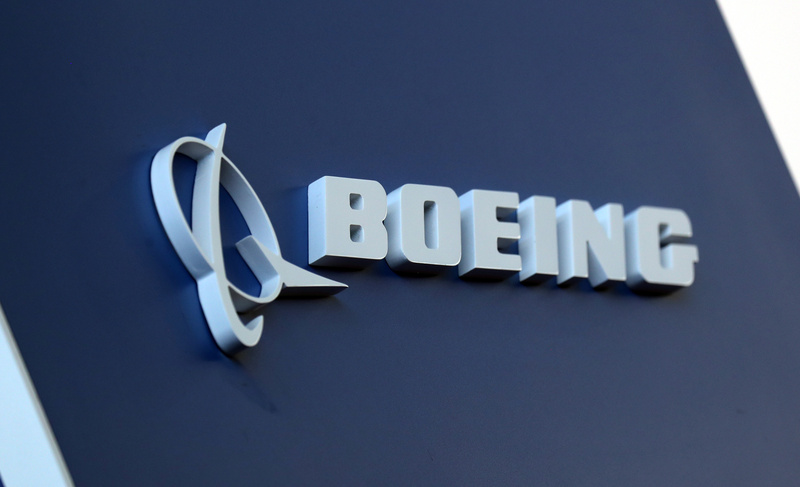 The Boeing logo is pictured at the Latin American Business Aviation Conference & Exhibition fair (LABACE) at Congonhas Airport in Sao Paulo, Brazil August 14, 2018. Boeing Chief Executive Dennis Muilenburg issued a statement on April 4 after the release of a preliminary report on the crash of one of its aircraft operated by Ethiopian Airlines in March. Ethiopian authorities on April 4 said pilots of the 737 MAX jet followed procedures provided by Boeing but were unable to control it. The plane crashed minutes after takeoff from Addis Ababa on March 10, killing 157 people. The 737 MAX fleet was grounded by worldwide regulators after the Ethiopian crash. A Boeing 737 MAX operated by Lion Air crashed and killed 189 in Indonesia last October. Boeing said on April 1 it planned to submit proposed software fixes to its 737 MAX series aircraft to the U.S. Federal Aviation Administration in “the coming weeks.” The company previously had said the upgrades would be submitted to regulators by last week. Daniel Elwell, the acting head of the FAA, along with other transportation officials testified before a U.S. Senate subcommittee on March 27 about its role in certifying the 737 MAX.